Two weeks ago, I ran the Run Gatwick half marathon. I took it easy and really enjoyed myself, grinning ear-to-ear the whole way. It was fun, but I didn’t push myself. 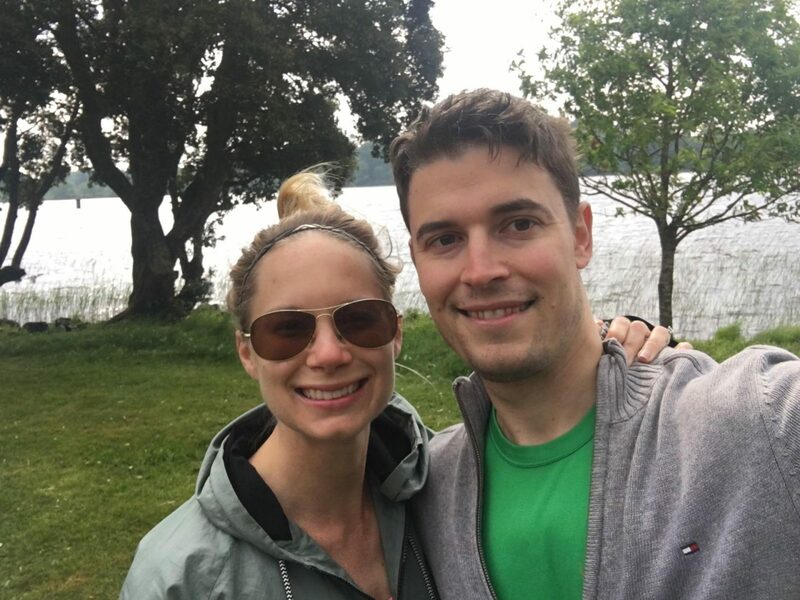 In the following two weeks, my plan was to ramp up my training so that I could “actually race” the Lough Cutra Castle Half Marathon, a lovely race in the county of Galway, Ireland. This race would be my 10th half marathon. Oh, how wrong I was. Let’s recap what happened in those two weeks in between races, shall we? I neglected to really realise that Lough Cutra Castle Half Marathon was a TRAIL race. I’m a very habitual pavement runner and even though the course said “mixed terrain,” I don’t think my mind registered what that meant until we actually arrived at the race day briefing. 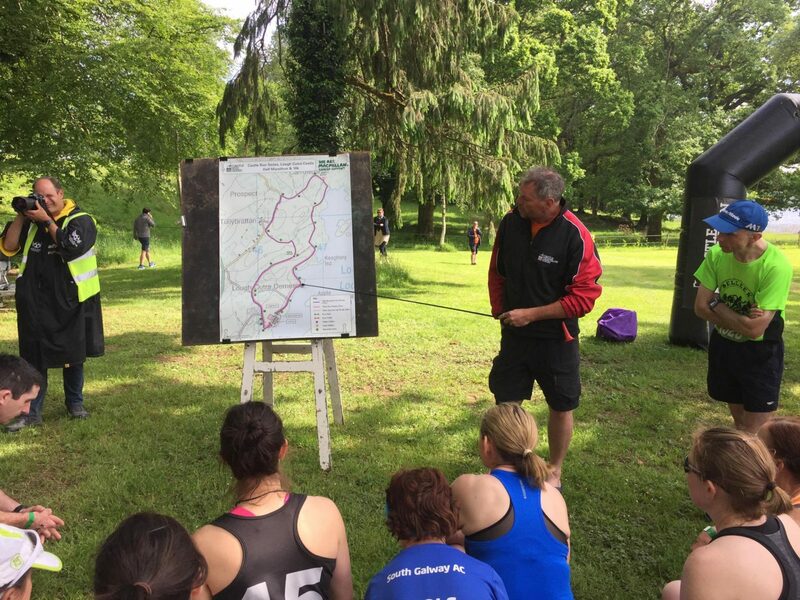 The race director described areas of the course as muddy, wooded and rocky. At one stage, he described an area of the course involving a farmer’s field as “not as bad as it sounds.” I was a little intimidated. After Run Gatwick, I immediately got sick. It’s like my body has a kill switch. Every time I take on a bit too much, I just shut down. It was a chest cold, so I didn’t run…much. I managed a measly two runs in between races, the longest one being a miserable 12K where I felt terrible the whole time. And finally, I decided to wear leggings I had never worn before, breaking one of the cardinal rules of running: never wear new kit on race day! So, there I was, standing at the start line of the Lough Cutra Half Marathon, barely recovered from a chest cold, half blind, and wearing what I was sure was altogether the wrong kit. It was a small group – just 105 runners. The event is part of a much larger triathlon series and the half marathon was new this year. 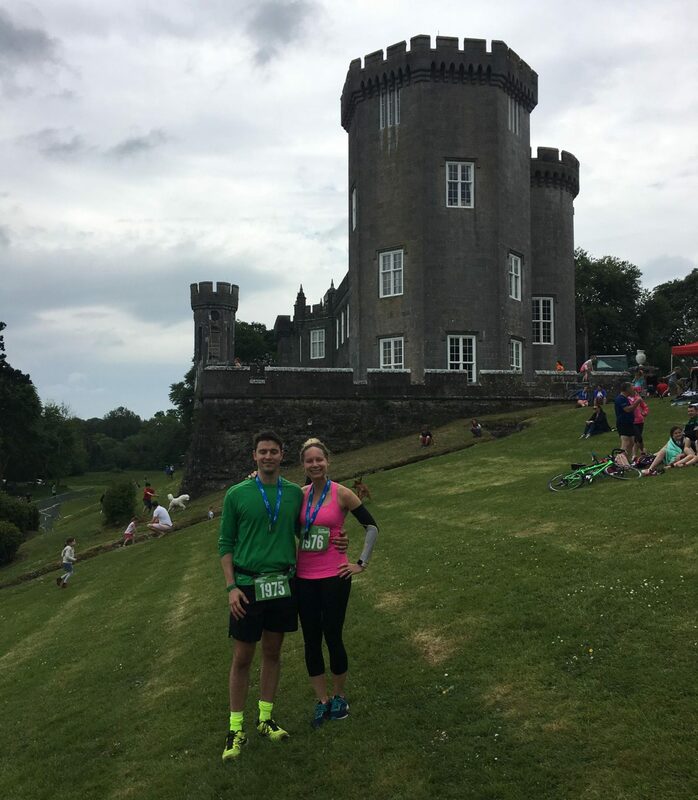 The mixed terrain route involved three 7km loops, ending just outside a lovely castle. I decided then and there that any visions of a PB were completely out the window. I’d just have fun with it. It was calling for rain, but the weather had cleared. The sun was actually shining. This was a very good thing. Not just because I didn’t care for a muddy rain run, but because I had to wear my prescription sunglasses in the race so I could actually see! 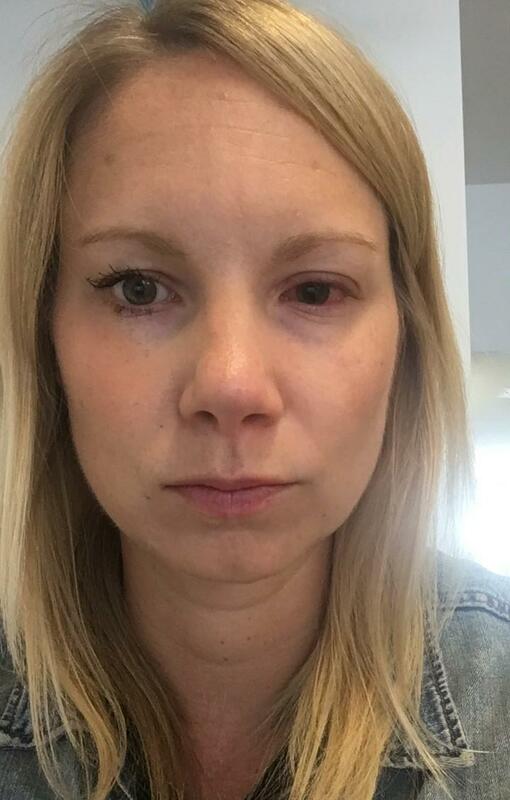 I was absolutely forbidden to wear contact lenses given my eye ulcer and I can’t run with my glasses because a) I think they look stupid on me when running and b) they bounce on my nose and bruise my face. So thankfully I looked a little less ridiculous than anticipated. Sunglasses in the rain is neither functional nor stylish. Killing time with pre-race selfies. Given that I had no idea what to expect, I treated my first 7km loop as an exploration. I’d go slow and steady and assess what I was in for. It was enormously enjoyable! The rocky paths along the waterfront afforded beautiful views of Lough Cutra Lake, the largest privately owned lake in Europe, and the wooded areas were cool and beautiful. The farmer’s field was very uneven and I had to concentrate on my footing to not roll over on my ankle but it was a new and unusual challenge that kept me focused on my form. 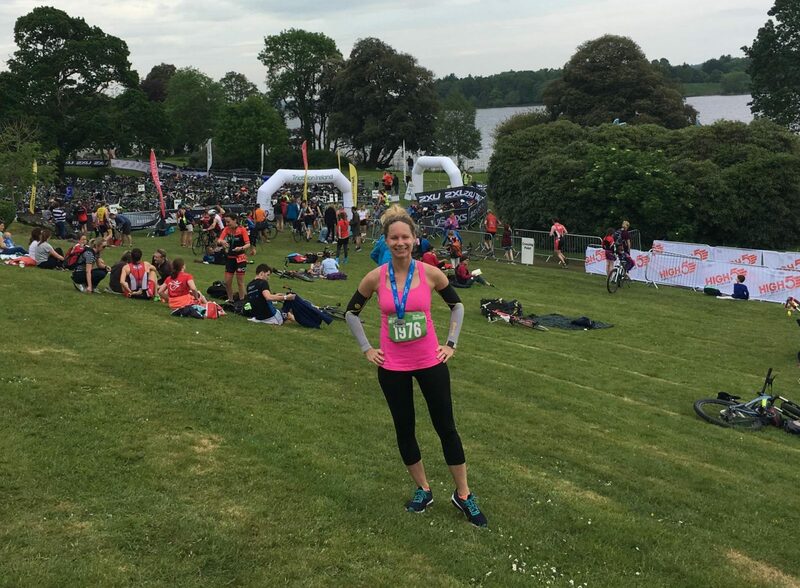 I liked the muddy areas – they were soft and easy on the joints and the feed stations were extremely well stocked with bananas, jelly babies, gels, water and electrolyte drinks. The second time around, I decided I’d try to race it. Now fully warmed up, I knew the route, so I was prepared to run faster. I even passed a few people which was encouraging! By the time the final lap rolled around, I was tired. I decided I’d just try to survive. The uneven terrain and technical footwork wore me out. I pushed along, grabbing handfuls of food whenever it was offered. The sun had come out and in the open areas of the course, it zapped my energy and made my feet feel like a ton of bricks. Officially, I crossed the line in 1:56:49. This is a shockingly good time for me, especially considering the tough terrain. In fact, by all accounts, this is a new half marathon PB by a considerable margin. However, I think the course was more than 800 metres short. I don’t know this for sure, but both my watch and Graham’s watch measured just 20.2km total. If that is the case, I was on track for an average time – though a time that is still reasonably impressive given this was my first official off-road race (oh, and I was recovering from sickness and an eye ulcer!) The time was good enough for 23rd female and 53rd overall. Anyway, I’m really not fussed about the numbers. It was a totally enjoyable experience and I would absolutely do another trail race. It’s a whole different challenge from road running and I thoroughly enjoyed it. 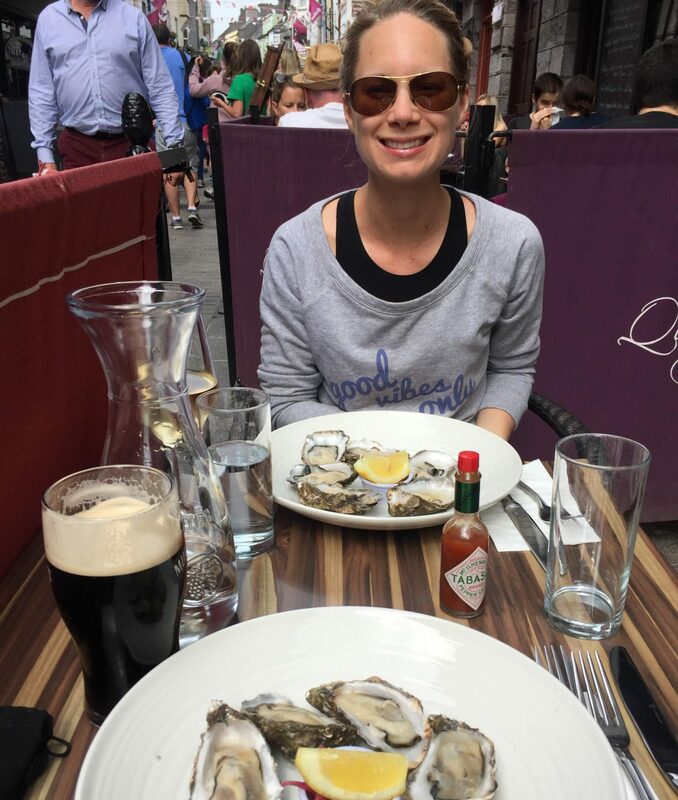 We celebrated by heading into Galway for some oysters and wine in the sunshine. We recovered on the Bank Holiday with a walk in The Burren National Park. Overall, a fine way to spend a weekend and a wonderful race for my tenth half marathon. PS – I don’t think the official race pics are ready yet, but I can guarantee I’m not smiling in any of them! I’ll share them when they’re out! Last day of the eye drops is today! It’s been such a nuisance / I am blind half the time!! Lesson learned!